Liquor vs Liqueurs? Whisky vs Whiskey? Scotch vs Bourbon? Spirits…? But boy was I wrong. And I didn’t realize how wrong I was until I tried to give a bourbon drinker scotch instead. He quickly perked up and told me that what I gave him wasn’t the bourbon that he ordered. He was right… It was scotch. But instead of correcting my mistake and swapping his drink for the one he wanted, I proceeded to tell him that since they were both called whisk(e)y, they were the same thing! Fortunately, I had the guidance of a senior bartender to point out my mistake. And he was kind enough to teach me some of the basics on the different types of liquor. But eventually, things started to make sense. And that’s what this article is about. Rather than put you through the same kind of misery I went through when I first started, I want to clear things up from the beginning. So if you’ve ever felt confused by the different types of liquor, don’t worry. Because we’re about to deconstruct their complexities. Before we get to the different types of liquor, it’s important that you understand the differences between the main terms. Fermentation is the process of turning sugars into alcohol. That’s how beer, wine, and ciders are made. Distillation takes the process one step further. Distillation turns fermented beverages into much stronger versions of themselves by separating the alcohol from the water. By removing the water, the alcohol in the liquid becomes much more concentrated. That’s why it’s called ‘hard liquor’. Because what’s left after distillation is a beverage that’s concentrated with more of the ‘hard stuff’, i.e. alcohol. I’m going to make this one really easy for you… Spirits and liquor are the same thing! And as far as this article is concerned, they’re used interchangeably. 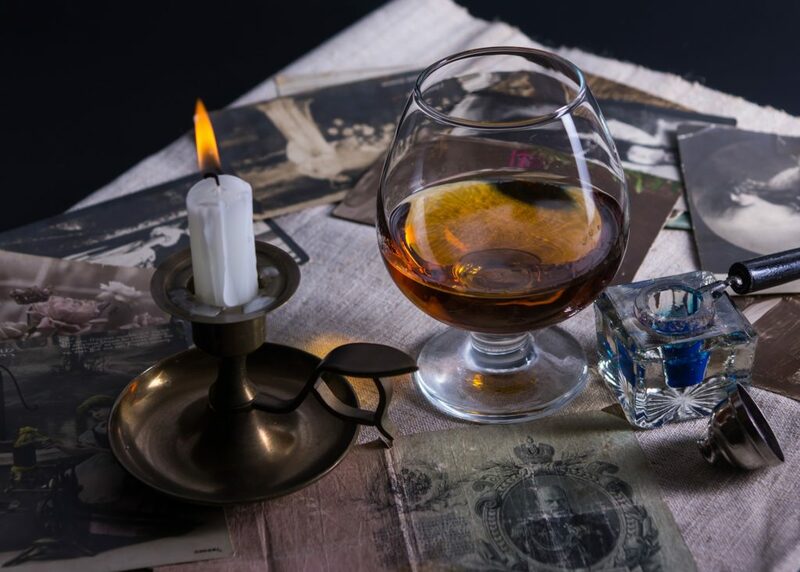 There are a few stories of how the name ‘spirits’ came to be and they’re all quite interesting. But my favorite one involves ghosts and I think it’s the most accurate. During the distillation process, the fermented beverage is heated up. Between alcohol and water, alcohol evaporates first. So the alcoholic vapor is collected/captured by the distiller and then it’s cooled down to bring it back to its liquid form. Once it has cooled down, the liquid is known as liquor or spirits. Back in the day when distillation was first invented, a lot of people believed in ghosts & spirits. And because the alcoholic vapor extracted from the distillation process looked a lot like spirits (or ghosts), liquor was considered ‘a gift from the gods’ and was hence named spirits. The fact that liquor got everyone blind drunk probably had something to do with it as well! Liquor and liqueurs are often confused with each other because they have similar spelling, they’re both used in cocktails, and they both go through the distillation process to become what they are. But unlike spirits & liquor, liqueurs are different. Like I said earlier, liquor is a distilled alcoholic beverage. Liqueurs, on the other hand, are liquors that have had some kind of sweetener added to them. They’re also often flavored with various herbs, fruits, or spices, and they generally sit around 15-30% ABV (alcohol by volume) but can go as high as 55% ABV. However, the flavoring and the ABV aren’t strict requirements. What matters for a liqueur to be called a liqueur is that it has been sweetened in some way. Otherwise, they’re just flavored liquors. For example, gin is flavored with various botanicals. But gin is a liquor, not a liqueur because it hasn’t been sweetened in any way. There are several brands of vodka that are also flavored but not sweetened. These types of vodka are simply called flavored vodkas, not liqueurs. Some examples of the more common types of liqueurs you’re likely to use are, Triple-sec, Sambucca, Creme de Cacao, Pastis, Amaro, Chartreuse, Drambuie, Amaretto (or as some people like to call it, hamhareaaaatto). In America, and in some of the older cocktail books, you might come across the word cordial. Nowadays, cordials are the same as liqueurs, liquors that have been sweetened (and often flavored) in some way. Historically, there was a difference between a liqueur and a cordial. A liqueur was a sweetened liquor that had been flavored with various fruits. And a cordial had been sweetened and flavored with various herbs. But over time, those differences disappeared and now these terms are used interchangeably. Liqueur is easily the more dominant term and the word cordial is hardly used these days. Now, let’s get to what we all came here for, the different types of liquor. And to be honest, there are a lot of them. So rather than go through an exhaustive list of spirits you’re likely never to use (or see), we’re going to focus on the most important. And there are 7 of them. These are the bad boys that you’ll find behind every bar, restaurant, and/or licensed cafe you ever work at. So we’re going to take a look at each of these spirits in detail, what makes them different, and clear up any of the confusing terminology surrounding them. ‘Sunshine in the stomach’ was an old Russian saying for Vodka. And there’s no doubt that vodka brought warmth to many cold Russian winters. But funnily enough, vodka more likely originated in Poland. Vodka is defined as a neutral-flavoured, clear spirit. That basically means that vodka is supposed to be virtually tasteless, odorless, and clear (like water) in color. But vodka does have very subtle flavors that are distinguishable between brands. Some are peppery, some are creamy, and others have hints of citrus or grain. That being said, it’s hard to pick up these subtleties even when you’re drinking vodka straight. And of all the liquors in the world, vodka is the most ‘pure’ and has the least flavor. Because of vodka’s lack of flavor, it’s extremely versatile in cocktails. It’s ability to showcase other ingredients flavors & aromas is unrivaled because it doesn’t have any (or very little) of its own! Whereas other spirits that have much more distinct flavors don’t always mix well with other ingredients. Vodka is generally made from potatoes or grains (mostly grains). But technically, vodka can be made from anything. For example, Ciroc vodka is made from grapes. As long as the spirit is a neutral-flavoured (flavorless and odorless), clear spirit and is bottled at around 40% ABV, it can be called vodka. 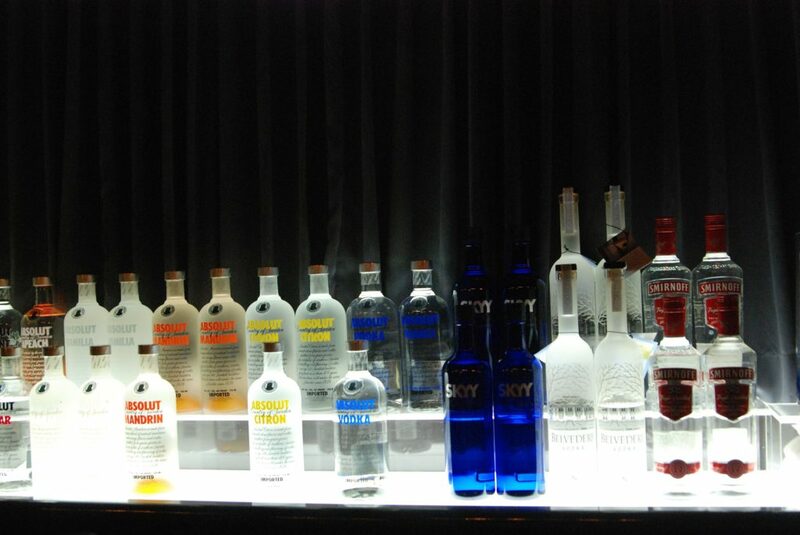 Smirnoff (Russian), Absolut (Swedish), Grey Goose (French), Belvedere (Poland), and Skyy (USA) are all popular brands of vodka used around the world. **Note** Recent laws passed in Europe require that any vodka that isn’t made from grains or potato, have to display the products used in its production. Gin has always been a very popular spirit. But recently, it’s become even more trendy. It probably has something to do with the amount of distilleries that have started experimenting with different botanicals. But to be honest, I don’t really know why! Gin just seems to be the ‘in’ spirit right now. Like vodka, gin is a clear spirit and it mixes well with other ingredients. But what makes gin different is that it’s flavored with various botanicals to give gin its distinct taste. For gin to be gin, it needs to be a spirit that’s distilled from grains or malt, and it MUST be flavored with the infamous Juniper Berry. 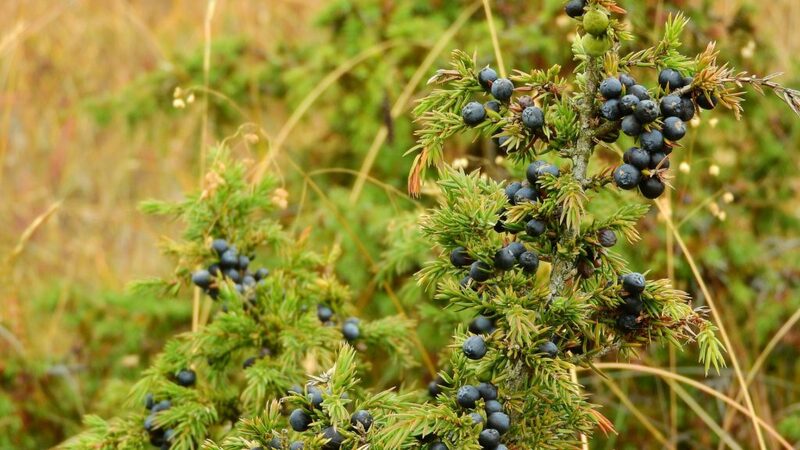 When people taste and smell gin, the juniper berry is the most prominent aroma and flavor. Other botanicals are often added to the mix (lemon peel, grapefruit, fennel, anise, etc), but you can’t have gin without the Juniper Berry. That’s what makes gin, gin! The most widely used style of gin is London Dry Gin and it’s considered to be the best quality. But that’s not necessarily true. There are some great quality gins out there that don’t fall under the ‘London Dry Gin’ classification. For example, Hendricks is a high-quality gin that doesn’t fall under the ‘London Dry Gin’ classification. That being said, London Dry Gins will be the main style of gin you work with, but if you’re interested in learning about the others, check out this article here. Brands such as Tanqueray, Beefeater, and Bombay are all examples of London Dry Gins. All categories of gin have to be bottled at a minimum of 37.5% ABV, but there are much stronger gins out there. The navy strength gins on the market are a great example. They’re potent… And they’ll make you wonder how the English navy managed to stay on top for so long! Whisk(e)y is easily the most confusing spirit on this list. Even the spelling gets a lot of people caught up! But before we get to the spelling, let’s cover some of the basics. First things first, whisk(e)y is a spirit that’s distilled from fermented grains. Whisk(e)y is different to vodka because whisk(e)y is aged/matured in wooden barrels for a period of time after distillation. The wooden barrels impart flavors, aromas, and color onto the whisk(e)y that you just don’t want with vodka. Secondly, whisk(e)y is made all around the world. And every single one of these countries have different laws & requirements for a spirit to be called/labeled whisk(e)y. Because of these different laws & requirements, whiskeys are slightly (and sometimes a lot) different from country to country. The reason why whisk(e)y is spelled differently is because different countries have chosen to spell it differently! I know… Annoying right? But that’s the way it is. And when you think about it, it’s not that odd. 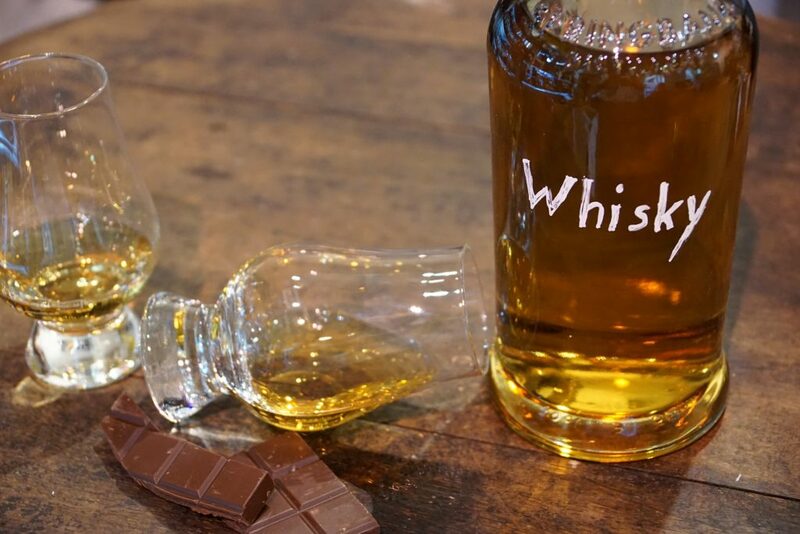 Just how British English spells recognise with an s and American English, spells recognize with a z, the same goes for whisk(e)y. It’s typically been up to the country themselves to spell whisk(e)y how they want. Fortunately, there’s an easy way to remember the differences. Countries that contain the letter e in their name, spell whiskey with an e. Ireland & America spell whiskey with an e.
Countries without an e in their name spell whisky without the e. Japan, Scotland, Canada, & Australia all spell whisky without the e.
Now, let’s take a look at the main differences between the more common styles of whiskeys used behind the bar, Scotch, Bourbon, Irish, and American Rye whisk(e)y.
Scotch, Bourbon, Irish, and American Rye whisk(e)y are the most common types of whisk(e)y served behind the bar. Japanese whisky has also become extremely popular in recent years, but it’s not there yet. And yes, they’re all different. So don’t make the same mistake I did when I was a young grasshopper! The main differences between these styles of whiskeys are their country of origin, the type of cereal grain used, and the ageing (maturation) process. Scotch is the first powerhouse among the different styles of whisky. As you might have already guessed, it comes from Scotland and it’s made from malted barley. For scotch to be called scotch, it MUST come from Scotland and the whisky must also be aged/matured in wooden barrels in Scotland for a minimum of three years. Like I mentioned earlier, the wooden barrels impart flavor, texture, and aromas into the liquid. The majority of the time, Scotch makers age their whisk(e)y in used wooden barrels that have previously held bourbon or sherry. The used bourbon and sherry casks contribute further to the flavor, texture, and aromas of scotch making it one tasty beverage! There are several styles of scotch, but there’s one in particular that you’ll often hear about, the peaty (or smoky) scotch. Basically, that means that the scotch has been flavored earlier on in the process with peat smoke. Peat is decomposed vegetable matter that has been compressed in the earth over thousands of years. Essentially, it’s young coal and it’s what gives some scotches their unique smokey characteristic. Some people love it, others hate it. So it’s important that you learn the differences between the ‘peaty’ and ‘non-peaty’ scotch’s you use behind the bar. Unlike wine, whisky matures in the barrel, not in the bottle. And in general, the longer a scotch has been aged, the better (and more expensive) the whisky will be (in fact, the same goes for most whiskeys). Because of that, scotch is accompanied with an age statement (i.e. aged 12 years). 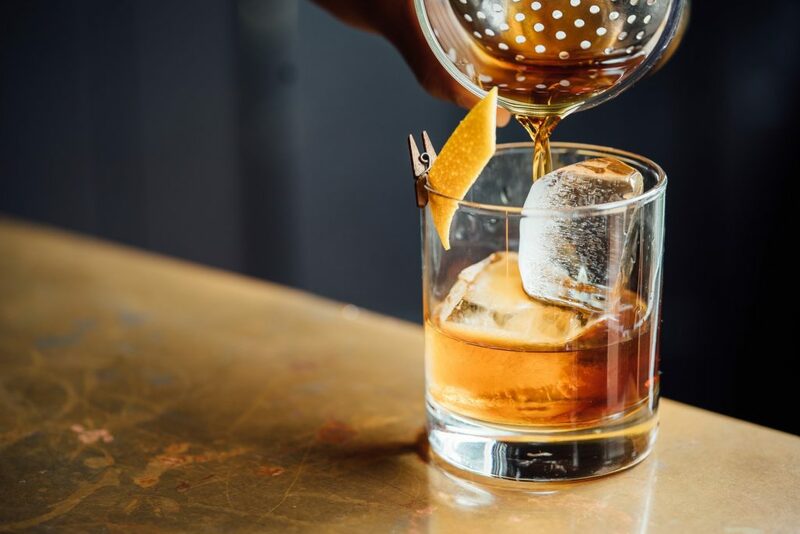 Johnny Walker, Glenfiddich, Glenmorangie, Laphroaig (peaty), and Chivas Regal are all popular brands of scotch you’re likely to see behind the bar. Irish whiskey comes from Ireland and it can be made from malted and unmalted barley. The biggest difference between Irish whiskey and Scotch is that by design, Irish whiskeys are meant to be a ‘cleaner’ and smoother drink. And in most cases, they are! Irish whiskeys are very easy to drink and there’s not much you can really complain about. But because they’re ‘cleaner’ whiskeys, they don’t pack as much flavor. Jameson is easily the most commonly used Irish whiskey around the world. And it’s exactly what you would expect it to be. Clean, smooth, and easy to drink. However, the Irish whiskey landscape is changing and quite a few new distilleries have opened up in recent years. There are no ‘legal requirements’ for Irish whiskey to be ‘cleaner’ than Scotch, so we’re bound to see new styles of Irish whiskey hit the market very soon. At the moment, we’re playing the waiting game. You see, Irish whiskey MUST spend a minimum of 3 years in wooden barrels before it can be called whiskey. And the better quality (and more expensive) whiskeys these distilleries release will spend a lot longer maturing in the barrel than that. So we’re waiting to see what they come up with. There’s even an Irish whiskey flavored with peat smoke coming from the distillery Connemara. A practice that hasn’t been used in Ireland for a very long time! Bourbon is the second powerhouse in the whiskey world and it’s made in America. Unlike scotch and Irish whiskey, bourbon is primarily made from Corn. America employs strict laws when it comes to making and labeling whiskey. And bourbon is no exception. But before we look at how those laws affect bourbon, it’s important to understand one thing about American Whiskies. Unlike in Scotland & Ireland, where whiskey is made primarily from the same grain, American whiskeys are often made from a mix of different grains (known as a mash). So it’s quite common for an American whiskey to be made up of corn, wheat, rye, AND barley. Because of that, America has placed strict laws on how whiskey is labeled to avoid confusion. For bourbon to be called bourbon, it must be made from a minimum of 51% corn in the mash. It’s often more, but that’s the minimum. The rest can be made up of wheat, barley, and/or rye. Bourbon must also be spend some time in new charred-oak barrels and it must be distilled to an ABV of no more than 80%. Before it get’s bottled at around 40%. Corn is easily the biggest factor that differentiates bourbon from other whiskeys out there. Corn gives whiskey a much sweeter flavor and smoother texture than barley does. So bourbon is considered to be sweeter and more smooth than scotch. That often makes it hard for bourbon drinkers to enjoy a fine scotch because they’re not accustomed to the ‘bite’ it can have. Makers Mark, Jim Beam, Woodford’s Reserve, Wild Turkey, and Buffalo Trace are all commonly used bourbons found behind the bar. The name says it all, American rye whiskey comes from America and it’s primarily made from the cereal grain rye. **Note** There are other rye whiskeys out there. For example, Canada makes some good ones. Since American rye whiskey is also made in America, there are strict laws that govern how it’s labeled. For rye whiskey to be labeled rye whiskey, it must contain a minimum of 51% rye in the mash, it must spend some time in new charred oak barrels, and it must be distilled to an ABV of no more than 80%. They’re generally bottled at around 40% after aging. What makes rye different to other whiskeys (in particular bourbon) is obviously the rye. Rye gives whiskey a spicy (sometimes called peppery) flavor that them a very distinct taste. Rittenhouse and Sazerac rye whiskeys are some of the best American Rye Whiskey brands you’ll work with behind the bar. 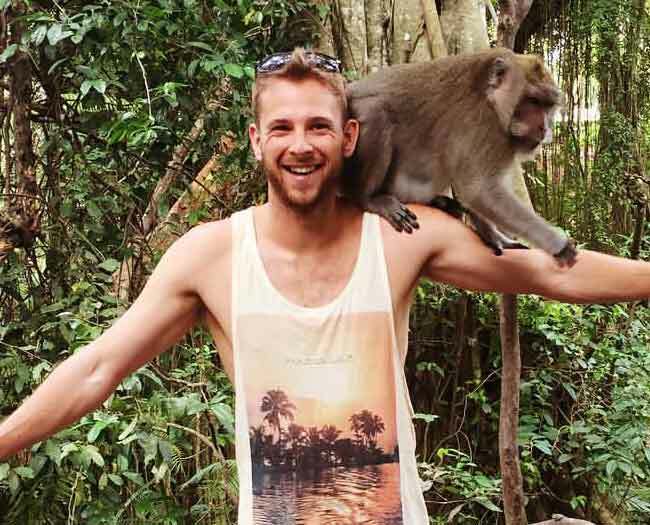 Among the different types of liquor, rum probably has the most interesting history. I mean… Pirates and sailors used to drink it back in the day when they were battling it out at the ‘high seas’! We don’t have time to go into the history now, but if you’re interested in reading about it, you can check it out here. Rum is a spirit distilled from sugarcane or molasses (thick dark brown juice obtained from raw sugar, most rums are made from molasses). It’s often aged in wooden barrels, but because rum is predominantly made in the Caribbean, rum laws aren’t as strict as whisk(e)y laws. One of the things I find fascinating about rum is that because it’s mostly made & aged in tropical climates, it matures much quicker in the barrel. That means that a rum aged 12 years should theoretically be a higher quality spirit than a scotch (matured in a cold climate) aged 12 years. Obviously, that’s only if you’re judging the spirit by its age statement. But the same would be true if you aged whisk(e)y in tropical climates. Liquor matures/ages much quicker in the barrel in warmer climates. If you’re interested in the science, you can check it out here. There are 4 types of rum that you’ll work with behind the bar. White rum, medium-bodied dark rum, full-bodied dark rum, and spiced rum. White rums are clear in color and generally have the least flavor among the different types of rum. That’s what makes them excellent base spirits in cocktails (think the mojito). That being said, white rums don’t have to be the least flavorful. In fact, some are packed with flavor! Bacardi Blanca and Havana Club 3 are both examples of white rum. Medium-bodied dark rums are fuller in flavor and are generally gold in color. Sometimes that’s due to aging. But most of the time, it’s because caramel or molasses has been added to dye the liquid. Havana Club Anejo is an example of a medium-bodied dark rum. Full-bodied dark rums are generally darker than medium-bodied rums. The majority of the time, full-bodied dark rums are darker in color because they have been well-aged in the barrel. But molasses or caramel can be added. These are the best quality runs among the 4 different types listed here. Appleton Estate 12 years and Diplomatico are both great examples of solid full-bodied dark rums. And finally, spiced rums are rums that have been flavored with various spices like cinnamon, pepper, anise, etc. 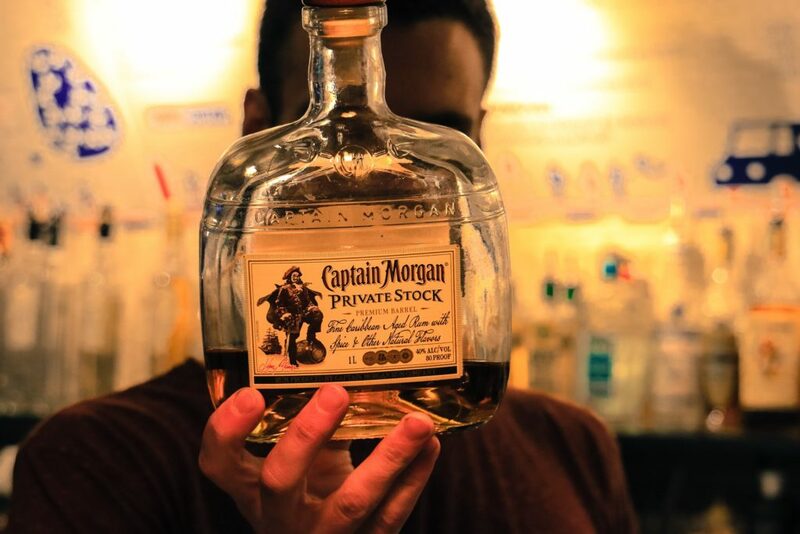 Sailor Jerry’s and Captain Morgans are the most commonly used spiced rums on the market. Among the 7 most commonly used spirits, tequila is easily the most underrated. People assume that because they drank cheap tequila shooters when they were in college or at uni, that all tequila is cheap and of poor quality. But that’s not true. Some tequilas can be comparable to a fine cognac and should never be ‘shot’. They should be sipped and savored. Tequila is made from distilling fermented blue agave (a plant native to Mexico) juice and for tequila to be called tequila, it MUST come from one of the 5 tequila producing states in Mexico. Those states are Jalisco, Michoacan, Guanajuato, Nayarit, and Tamaulipas. 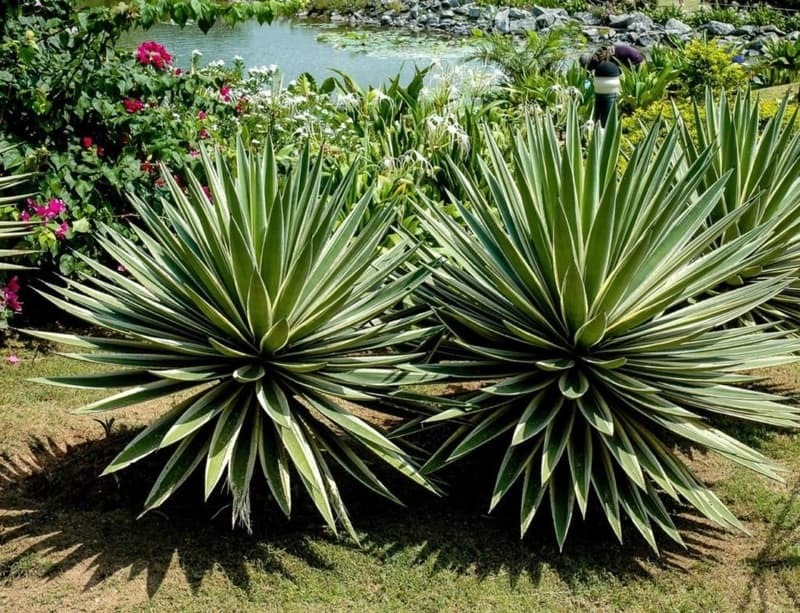 Jalisco is easily the biggest producer of Tequila and that’s where it originally came from. Funnily enough, it’s city of origin is rightly named Tequila. There are 2 main categories of tequila, Mixto and 100% Blue Agave. Mixto tequila is the stuff that you used to drink back in college and uni. It must be made from a mash with no less than 51% of the blue agave plant. The rest of the mash can come from other sources of sugar. Mixto tequila is not necessarily ‘bad-quality,’ but its production isn’t given anywhere near the same quality of care as the 100% Blue Agave Tequila. It’s also worth noting that mixto tequila won’t necessarily be labeled ‘mixto.’ It will simply be named tequila. 100% blue agave tequila is the best quality tequila on the market and it must be made 100% from the blue agave plant. It has 5 different categories, blanco, joven (means young in Spanish) or gold, reposado (means rested in Spanish), anejo, and extra anejo. These categories indicate how long the tequila has been aged in wood. Like rum, tequila is aged in a warm climate, so it matures much quicker in the barrel. 3 years is enough to make an incredible spirit. Blanco is aged for less than 60 days and is white in color. Joven (means young in Spanish), or gold tequila, is similar to blanco tequila in that it isn’t really aged. Its golden color generally comes from the addition of caramel as opposed to any barrel aging. Reposado is aged between 60 days to 1 year and is yellow in color. Caramel may be added, but they’re still considered better quality tequilas than joven. Anejo must be aged for a minimum of 1 year (often more) and is gold in color. Caramel may also be added, but some of its color will come from the barrel it’s aged in. Extra-anejo is considered the best quality tequila, they must be aged for a minimum of 3 years, and once again, they’re gold in color. These are the tequilas that are often compared to fine French Cognac… Both in quality AND price! Espolon, Patron, and Don Julio are all well-known brands of 100% blue agave tequila you’re likely to see behind the bar. Brandy is the spirit you’re least likely to use among the 7 different types of liquor on this list. But it’s still an important liquor to know about. Brandy is a distilled fermented fruit beverage. Technically any distilled fermented fruits are brandies, but the majority of the time, brandy is made by distilling fermented grapes (essentially, it’s like distilling wine). Brandy is generally aged in wooden barrels to give the spirit flavor, texture, and aroma. And these brandies are almost always accompanied with an age statement with some of the best being aged for several decades! The French are the best known for their brandy and they have strict laws that govern how their brandies are labeled. Cognac (made from grapes) in particular has world acclaim, but it’s extremely expensive. Armagnac (also made from grapes) is another high-quality French brandy, but you won’t have to mortgage your house to drink it. And Calvados is another popular French brandy that’s made from apples. Technically not a liquor, but since bartenders often use vermouth when they’re making cocktails, I thought I’d include it here anyway. Vermouth is a fortified, aromatized wine. What the hell does that mean? First of all, vermouth starts out as a wine. Then it’s put through two different processes to become a vermouth. The first is fortification and the second is aromatisation. Fortification basically means that the wine has been strengthened (or fortified) in terms of alcohol content, by adding a liquor to it. In the case of vermouth, brandy is the liquor that’s used to strengthen the wine up to around the 20-25% ABV mark. Aromatization is the process of flavoring the wine by infusing it with various herbs, spices, roots, bark, and flowers. There’s no doubt that the mixing process for vermouth is complex. And by the time it’s gone through fortification and aromatisation, the beverage barely resembles the original wine. There are 2 styles of vermouth that you need to know about. The first is known as Sweet (or Italian) vermouth. As the name suggests, this style of vermouth originated in Italy and has an element of sweetness. 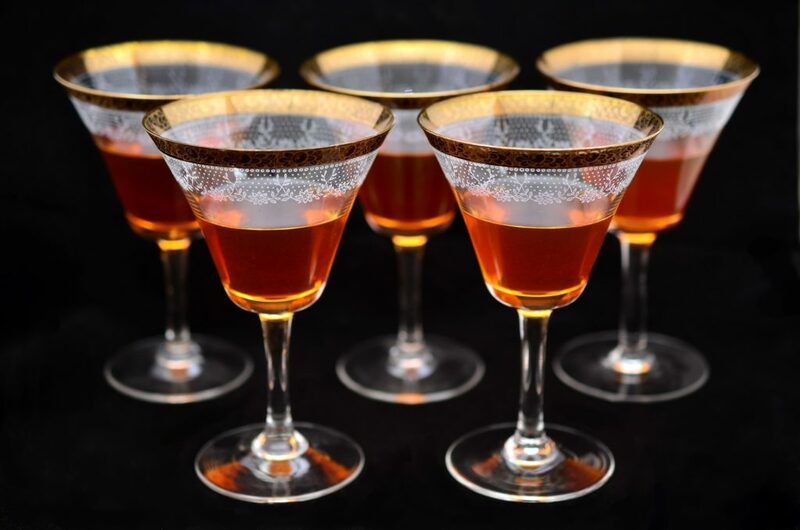 Sweet vermouths are red in color and they’re used in a variety of classic cocktails like the Negroni and the Manhattan. The other style of vermouth is called dry (or French) vermouth. As the name suggests, this style originated in France and they’re dry (not sweet). This is the vermouth that’s responsible for the infamous dry martini cocktail! 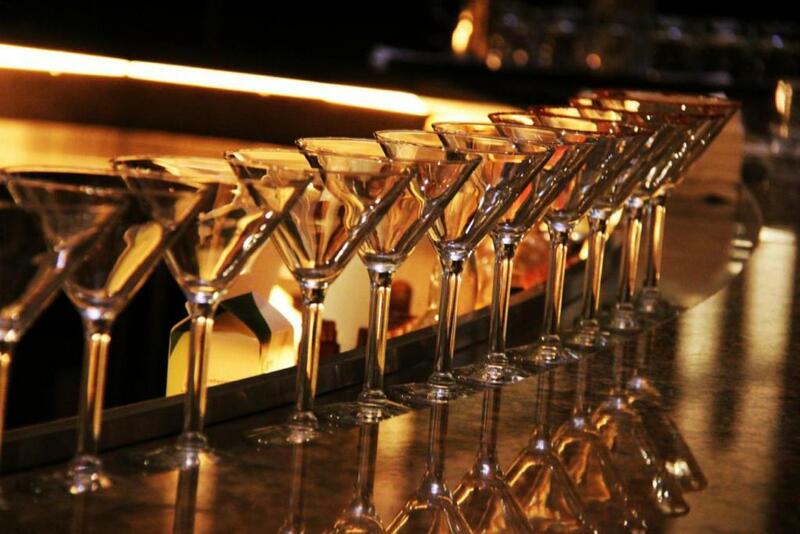 There are a whole host of other liquors/spirits that get used behind more sophisticated bars. 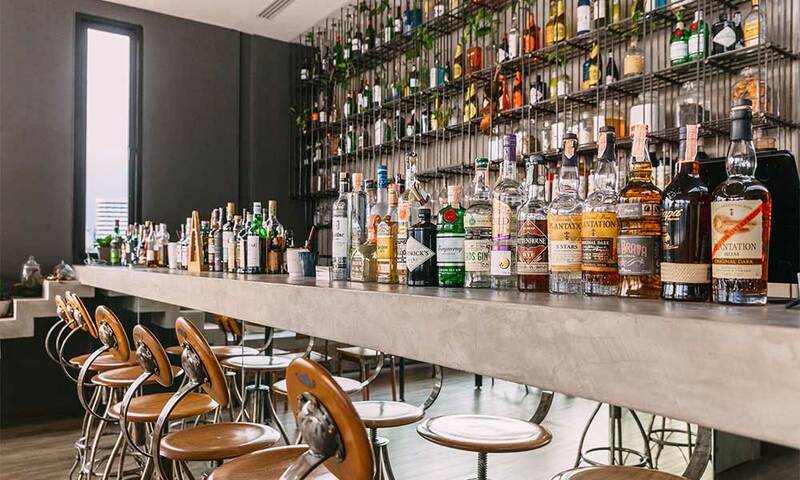 Pisco, cachaca rum, mezcal, grappa, absinthe, and ouzo are all great examples. But the 7 different types of liquor on this list are easily the most important. So learn about these first before you start exploring the rest. But hopefully now, everything makes a lot more sense and you won’t make the same kind of mistakes I did in my early days. When you’re a bartender, there’s something incredibly embarrassing about being schooled by a disgruntled customer on the difference between Scotch & Bourbon! So don’t leave me hanging here guys. In the comments section below, let me know of any embarrassing stories you’ve had behind the bar. The more pissed-off the customer got, the better! And that’s how I found out about the existence of Goldshlager. Ha, yes! The scots do import bourbon barrels from America to make Scotch. So in that sense, there’s a bit of America in every bottle 😉 Well, a lot of bottles anyway! Im a 1styear Hrm student. It really help me a lot knowing the types of liqour.